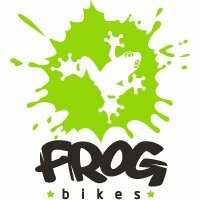 Frog have a winning knack for creating lighter weight, better spec'd but still competitively priced kids' bikes, which are easier to ride. So it goes with the Frog Tadpole Plus balance bike. It's not just the frame. The forks, wheels, handlebars, brakes, stem and seatpost are all strong, lightweight aluminium alloy too. The Tektro junior brake lever is easy to use - even for the intended 3-4 year old user. The 14 x 1.75 inch Kenda hybrid tyres make for a comfortable smooth rolling ride. Designed for youngsters aged 3-4 years with a minimum inside leg measurement of 38cm.